We recently had dinner at Little Korea to celebrate rif’s father’s birthday, and since there were 10 of us, we got a private room. 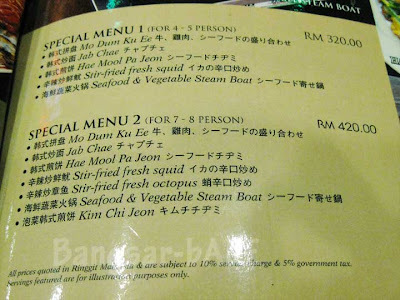 Ordered the Special Menu 2 (for 7-8 pax) and the beef bulgogi (for 3 pax). 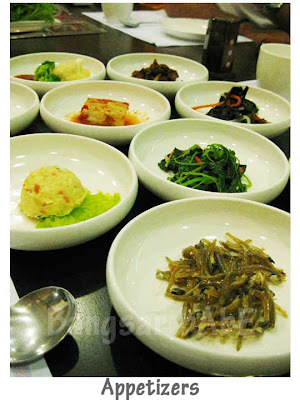 We were first served with a selection of appetizers, also known as banchan. These are refillable, so if you want more, just ask the waiter. 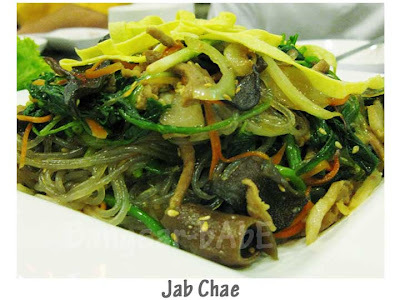 The Jap Chae is a stir-fried dish of beef slivers, carrots, onions, mushrooms, wood ears, vegetables and glass noodles. It was very tasty – the noodles were translucent and had a chewy texture. 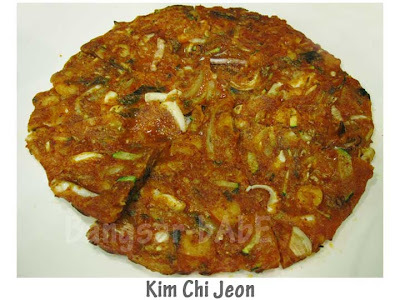 “Jeon” refers to Korean pancake dishes and is typically made with flour, eggs and scallions. 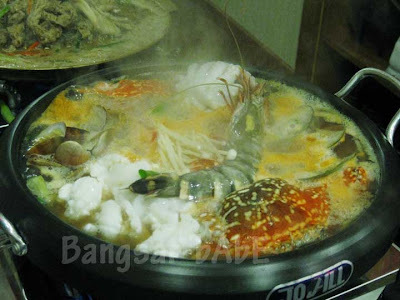 Hae mool pa jeon (seafood pancake) had bits of shrimps, squid and octopus. It was delectably crisp at the sides with a soft fluffy center. 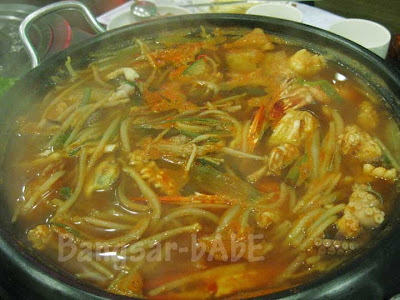 The seafood was fresh and lightly flavoured with the scallions and chili slices. The Kim Chi Jeon was not that spicy, despite it’s fiery appearance. This one had chopped kimchi, onions and scallions. 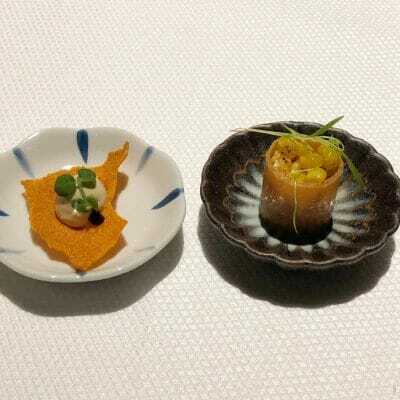 Of the two, I like the seafood pancake better. 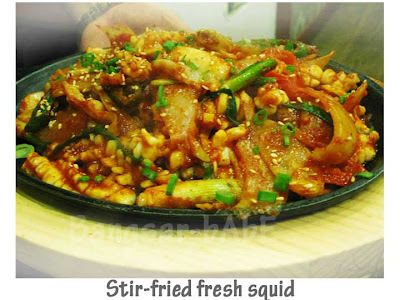 The stir-fried squid (Ojinguh Bokeum) was a robust combination of flavours. Tender squid pieces cooked with onions, scallions and sesame seeds in a spicy sauce, it was good stuff! I forgot to take a picture of the Nakji Bokeum (octopus) but it’s the same dish with octopus in place of the squid. 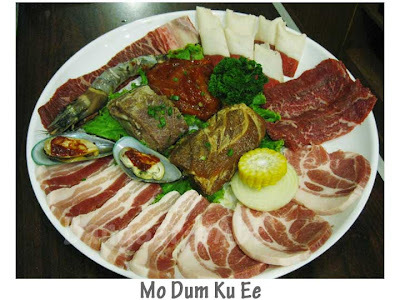 The Mo Dum Ku Ee was a delicious feast of meat & seafood. Of the lot, I especially enjoyed the beef striploins and ribs. Magnificently tender and full of flavour. The pork shoulders and belly were very good as well. Melt-y fats and tender flesh, it was delicious with the dipping sauce. 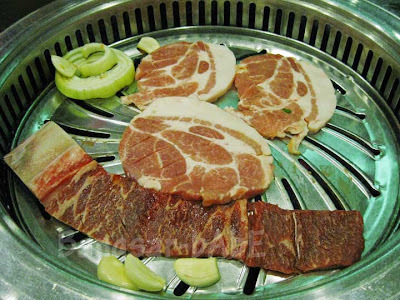 Bulgogi literally means “fire meat” in Korean. The beef bulgogi had plenty of beef slices, mushrooms, carrots, scallions and glass noodles. Everyone loved this, and I found myself sipping the sweetish, peppery gravy till the last drop! 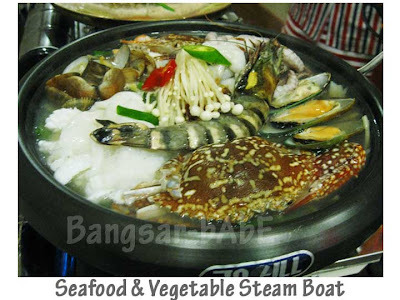 The steamboat was served last, and by that time, we were all rather full. I found the soup very spicy (tongue-numbing) but rif loved it. The seafood was very fresh, and rif ate most of it. I tried a bit of crab and the flesh was indeed firm and sweet. Previous visits here and here. Verdict: Slight glitch in service, but the food is still as good. Jap Chae’s my absolute favourite! 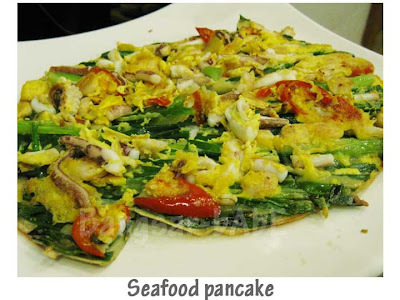 And the seafood pancake looks fantastic.. thin and brimming with seafood! I am assuming this place doesn’t do pork?? OR you could hire a professional photographer and pull him along everywhere you go to make sure the lighting etc is perfect!! aiya…. no mind lah, amatur mah! yup, agree with you, all the seafood looks super fresh…. nvr did bothered abt the steamboats..BBQ is the way to go! Wah!!! Really a lot of food, definitely can feed 10 persons!! I find Korean food can rival the Thai counterparts in the heat dept. The bulgogi is my favourite. joe – Yeah, I like the BBQ better! Bulgogi, how I miss you! 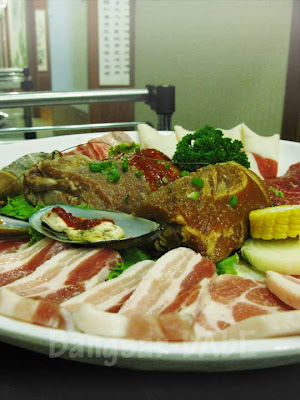 Seriously… I’m craving soooooo much for Korean food!!! Tummythoz – Me too, me too! at least u dun have to pay for the room hor ? 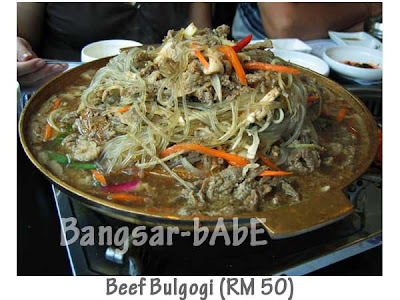 >.<"
the bulgogi so much gravy one?!! i’m stumped. normally I thought bulgogi beef is just fried beef strips. Christine – Hey, thanks for dropping by!